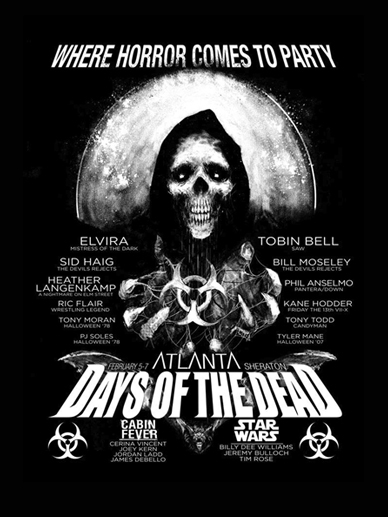 We hear Atlanta is nice this time of year… so it looks like we’ll be attending Days of the Dead this February. We’re very excited to announce that our own Corey and Haley Norman will be official guests at this year’s event. Be sure to catch their newest short film, Suffer the Little Children, as part of the 48 Hour Independent Film Festival, then be sure to stop by the Bonfire Films table. Not only will they be selling our newest DVD, The Bonfire Films Collection, but they’ll also be taking pictures and signing autographs for free.